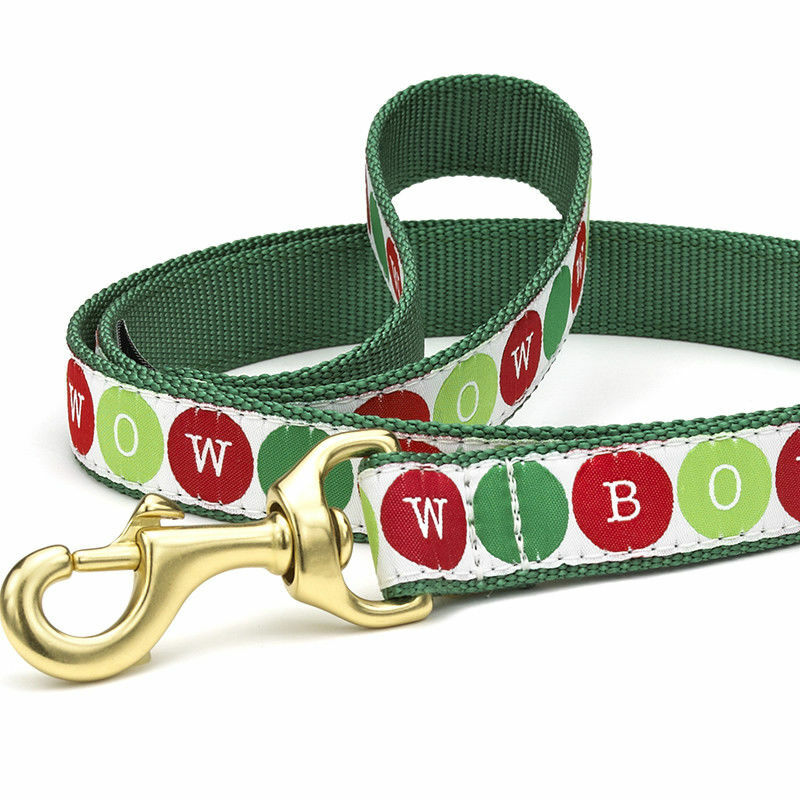 Choose Length & Width* 6' x 5/8" 6' x 1"
The bright and festive holiday Bow Wow lead matches the Bow Wow Holiday dog collar. Up Country's standard leads are made with solid brass hardware and high tensile strength nylon webbing that will hold dogs up to 80 pounds. Made in the U.S.A. Machine wash cold on gentle cycle. Air dry.